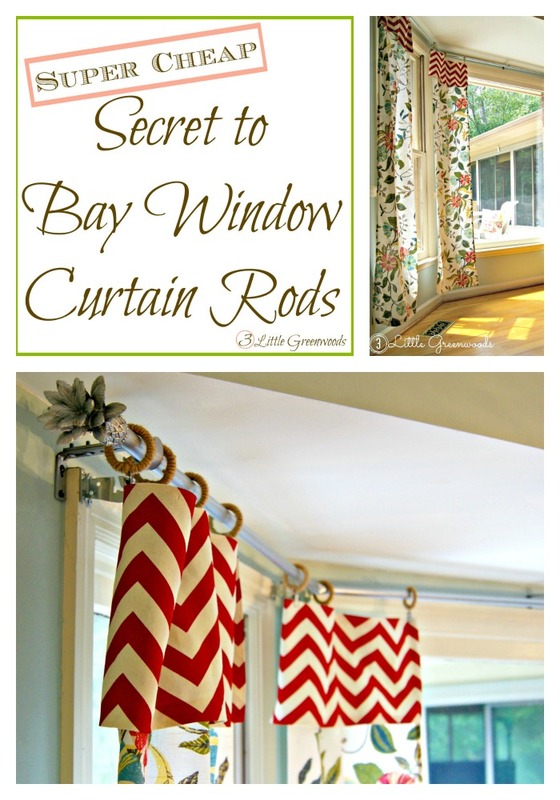 Have you browsed Pinterest in the past three months? 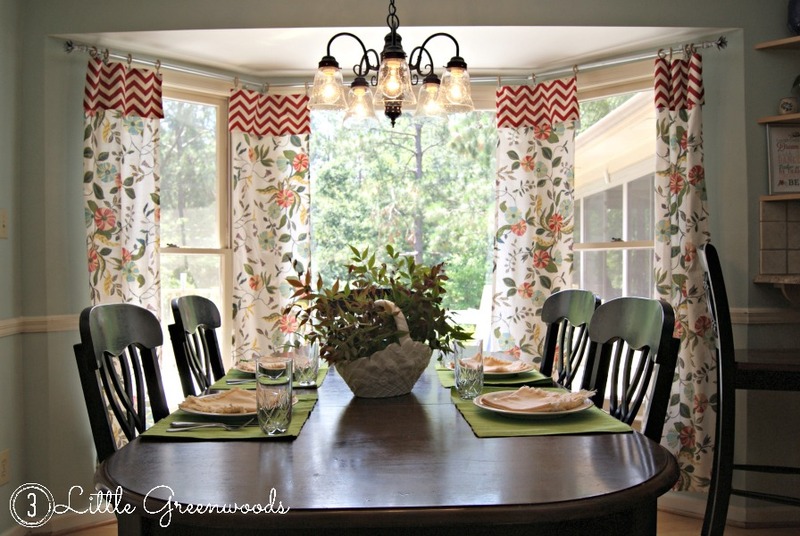 Have you drooled over the beautiful home tours of your favorite bloggers? 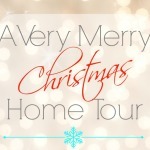 Between the perfect burlap-wheat-mum-and-pumpkin Fall Tours and the rustic-modern-and-vintage-all-at-once Christmas Home Tours, do you ever wonder how these ladies get it all done? Do you ever wonder what the behind-the-scenes-not-so-picture-perfect homes look like? And … what do these creative bloggers do all day, exactly?? Well, I’ve teamed up with eight other bloggers to give you a behind the scenes look at our REAL homes and lives. The day-to-day happenings, and the less-than-magazine-worthy-pictures. We’re busy … far, far from perfect, and wear many hats (just like most moms). So, grab your coffee, wine, or other beverage of choice, and join us for our ‘Real Life’ home tours (and feel good about your own home at the same time). Today I’m going to make my mother cringe. Again. Because instead of showing off the beautiful spaces I create in my home I’m going to show you what it really looks like on the other side of the camera. 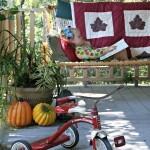 Today’s post is all about our Perfectly Imperfect Home. That would be far from the reality of how our crazy busy family of five lives. 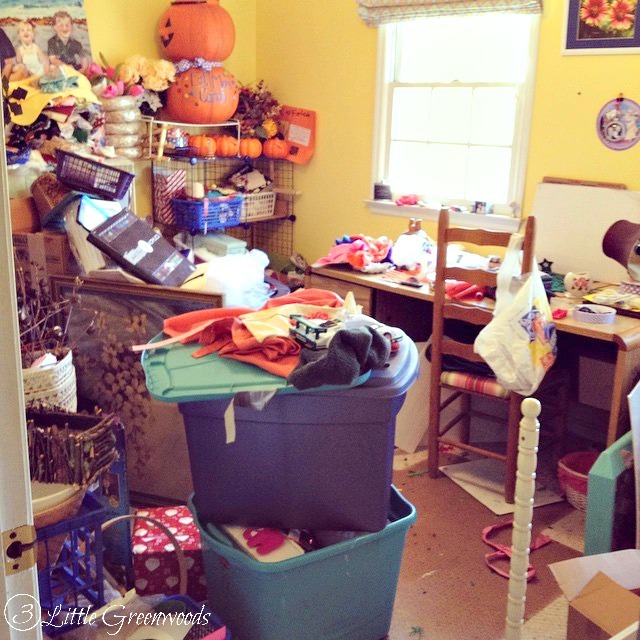 It’s a train wreck of a room with craft supplies, Christmas decorations, and half complete home decor projects scattered about. I could barely walk into the room it was such a disaster area. My creativity is like a whirling dervish that leaves a trail of hot glue sticks and scissors wherever I go. See what I mean about the scissors? But when Honey mentioned the crew of Hoarders showing up soon I knew there had to be something done. So I banished the children downstairs then got busy making my way through the mess. Two days later and three 42 gallon trash bags later I was left with a perfectly imperfect home craft room. 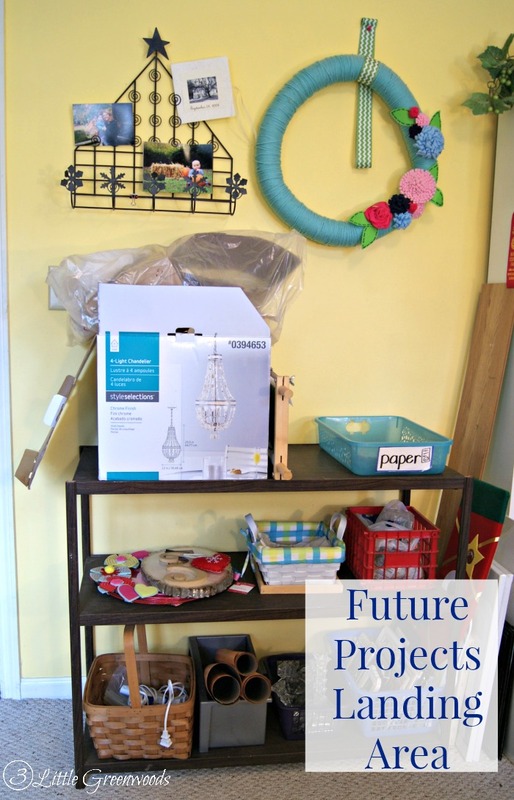 Warning: This is not one of those amazingly coordinated, cleverly designed craft room reveals. This was all about decluttering, sorting, and putting supplies back where they were meant to live. The end result is still cluttered. But now I have a better idea of what supplies I have and (more importantly) where they are. 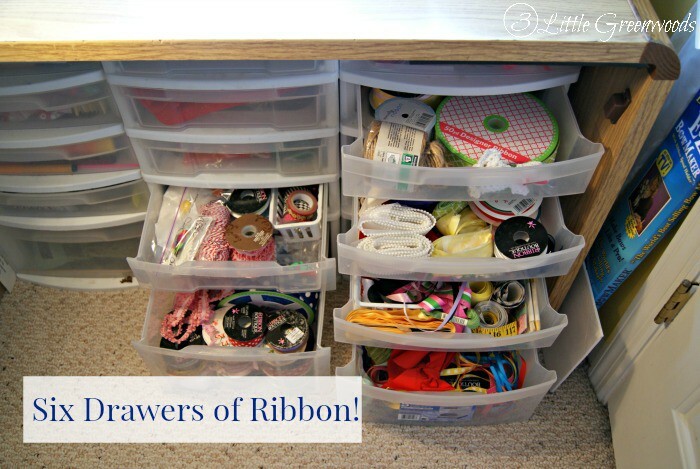 One thing I discovered is that there were many rolls of ribbon scattered throughout the craft room. Like 25-30 rolls of ribbon! I also found lots of materials for future projects under all the clutter. Like the shell light fixture I got for a steal. Honey’s got some work to do! Then there’s also Cinderella’s glass slipper. My children follow me everywhere. My family is placing bets on how long the craft room stays this tidy. I wouldn’t hold your breath if I were you. 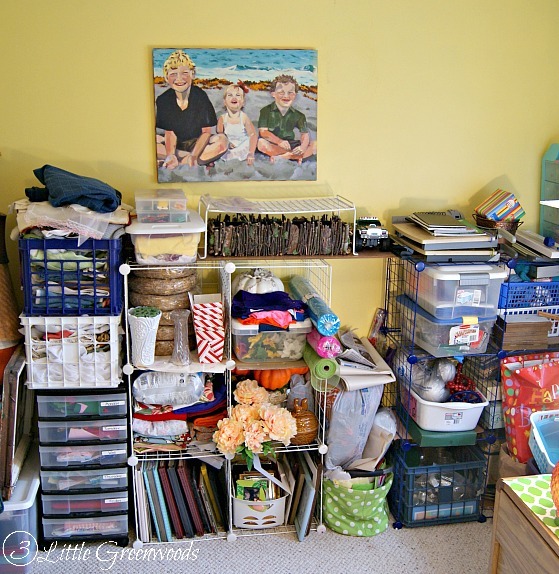 Love it…My guest craft room looks about like that right now because I’m still living out of boxes. I’m glad ya’ll are sharing your real houses because I hate how us bloggers make our homes seem perfect when they aren’t. Love seeing that messy creativity is not just my issue! 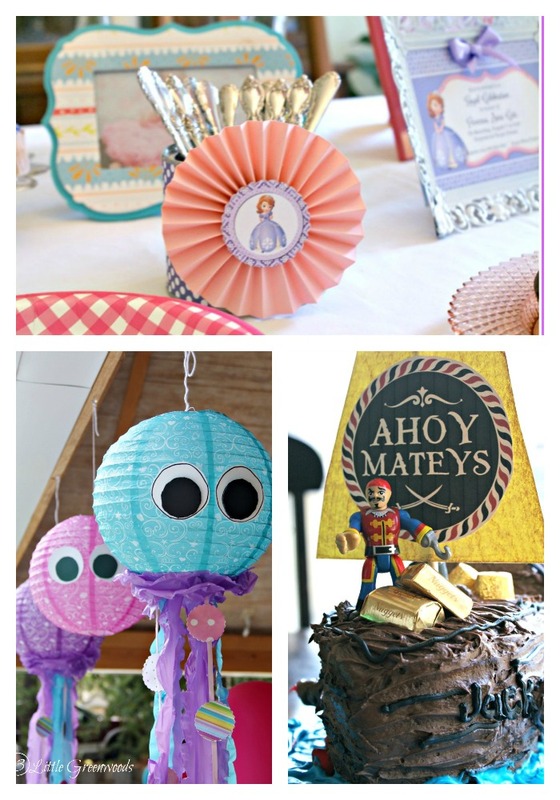 So fun to participate in this blog hop with you! Loved your tour! Nice work in your craft room!!! 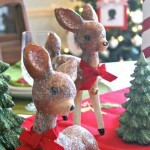 This blog hop was so much fun! I can’t wait to have a craft room to get messy. Now I have to find any spot I can to craft at. I’m sure mine will get pretty messy too! 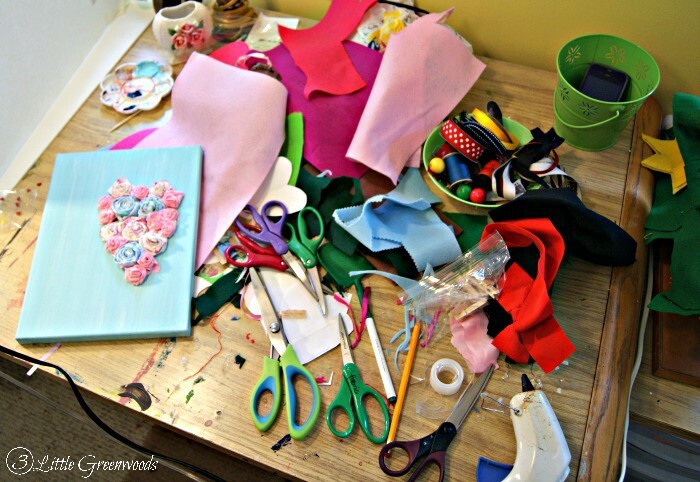 A craft room is a great privilege to have. I’m determined to keep mine clean and organized! 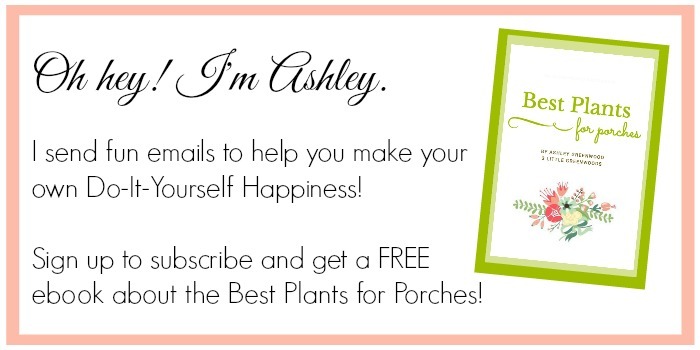 This is great, Ashley!! I forgot to mention my craft room in the tour. It often looks like your before. Only problem is … it’s in the middle of my house where EVERYONE passes by. Ugh. I loved your tour, and I’m so glad you joined in with our ‘Imperfect’ tour blog hop!! Hope you’re having a good week!! 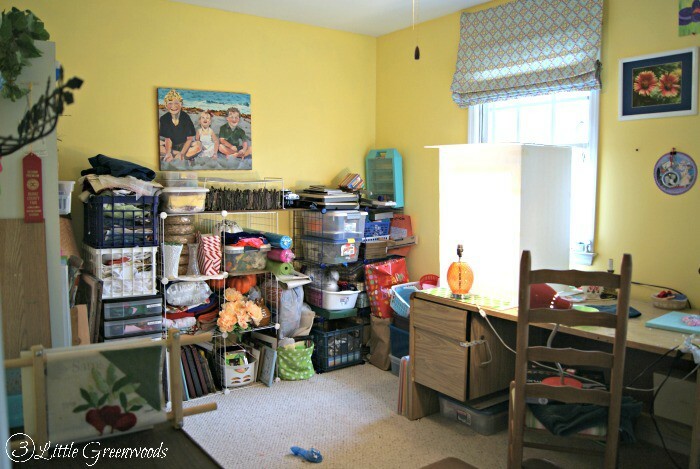 Your craft room turned out nice!! Thanks for the tour…I love seeing behind the scenes! 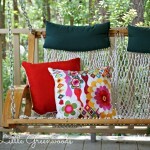 I couldn’t love this blog post more! Way to keep it real sister! Totally keeping this disaster area real! If you want scary I need to show our laundry room! Yikes! Ha! Those are my most favorite woolen slippers from LL Bean. 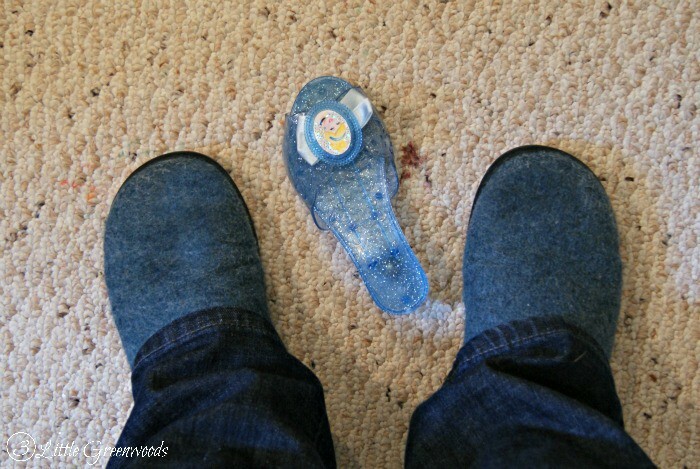 I think their name is Wickedly Good Slippers and they are awesome! Thanks so much, Pili! Isn’t it good to know that our homes don’t have to be showroom ready at all times?